The major objective of this report is to explain Marketing Activities of Akij Food and Beverage Limited, by this analysis get a clear idea about Consumer perception and positioning strategy as well as financial condition of a manufacturing company. Other objectives are analysis market monitoring of the products and financial growth and future prospect of the company and investigate Consumers requirements and demands. Report also discuss the advertisement of Akij Food and Beverage Ltd and find out what makes the Akij Food and Beverage attractive to its user. The ultimate objective of the study is to gain real life exposure in any kind of service sector and to get a clear idea about Consumer perception and positioning strategy as well as financial condition of a manufacturing company. Various consumer perceptions about the product of AFBL and different positioning strategy. Market monitoring of the products and financial growth and future prospect of the company. Informative advertisement to inform consumer about the product and communication with different media. To find out whether Akij Food & Beverage is popular among the consumers in the beverage market? To investigate Consumers requirements and demands. To see whether the advertisement of Akij Food & Beverage Ltd.’s is effective. To find out what makes the Akij Food & Beverage attractive to its user. From the analysis it can be deduced that among all the eight brands of AFBL, most consumed and preferred brand is MOJO followed by FRUTIKA and SPEED. As the influencing factors for the consumption of AFBL’s CSD products, packaging plays a vital role, then finally the taste. The full silver packaged pet bottle turn out to be a great success for AFBL’s CSD products. For the consumption of the mineral water SPA, availability played a vital role and this was because of the wide range dual distribution channel. Price of SPA is less then few other brands in the market, thus it also played a supportive role. The brand FARM FRESH is another least consumed product and the influencing factor for consumption were the taste and branding. The product didn’t seem to be highly accepted by the audience. AKIJ GROUP OF INDUSTRIES is considered to be one of the most aged industries that is still sustaining with great success and prosperity. It was more than fifty years ago the company emerged into the market. Entrepreneur, Founder and life time Chairman Late Mr. Sheikh Akij Uddin initiated the business in 1950s with a single product of cigarette naming Akij Biri. This brand is one of the well known units of Akij Group and it is considered to be one of the oldest and most well known products across the country and in the few international market as well. Then in the late 70s Dhaka Tobacco Industries came to the fold of Akij Group when government decided to disinvest and hand over the factory to the private sector from the nationalized sector. It was the first booming stage of Akij Group and from then onwards this entity diversified its business in various product line and reached the peak of success. From such small beginnings, it has expanded into one of the top corporations in Bangladesh, and not only in size. Akij Group is proud of its infallible quality and excellent service by valuing its consumers as unique individuals and trying best to provide merchandise to suit the needs of each distinct consumer group. AKIJ group has never limited its aims to profit making. Besides playing a part in developing the country commercially, it has also worked hard to preserve its environment and culture. The company is proud to say that the word wastage means little to them; all their factories have been constructed with recycling and the environment in mind. The non-profit making concerns of the Group are involved directly in sustaining the progress of Bangladesh. A large number of people are employed by them, and cared for as members of the AKIJ family. Akij Group’s ceaseless efforts with dynamic management and support from our numerous clients have led our Group in diversifying its business activities. In the second phase, the Group went into manufacturing handmade cigarettes popularly known as “Biris”. This sector gave a real boost to the revenue earning of the Group as well as making a substantial contribution to government exchequer. With the passage of time, the Group undertook new ventures and presently there are 15 units of industries under its umbrella like cigarettes, handmade cigarettes, printing & packaging, jute mills, textiles, Hand board, Particle boards, Matches, Zarda, Cement, pharmaceutical, leather processing and real-estate business are in operation, catering jobs for more that 32,000 people in various categories. The Group has plans for setting up more projects. The projects are already in pipeline. Foreign investors have shown keen interest in joining with Akij group for joint ventures. I hope that the matter is under our active consideration and will soon mature. This will also help the nation’s economic growth and will create job opportunities to various professionals. Total number of employees: 32000 (approx) in various categories. Annual turnover (revenue) of the entire group in year 2011-2012 was Tk.335.66 (Core) approx. To be the market leader in quality food & beverage sector discovering & satisfying the desire & need of the community working in harmony with our customers, employees and business partners. To be the leading food & Beverage brands excelling in product quality, social, technical & marketing creativity; and service to our customers through the skills and cordial commitment of our employees. According to Late Mr. Sheikh Akij Uddin regarding AKIJ Food and Beverage Limited (AFBL), “We will manufacture and introduce those high quality products in the market that we ourselves and our family will always use; we will not just produce products for the consumers in the market and let our family consume other foreign products”. To achieve market leadership, profitability, good corporate citizenship and a sustainable growth. Building culture of learning based on leadership, teamwork, accountability, and co-operation. The 4ps of Product, Price, Place, and Promotion are subjected to their mission and to execute and co-ordinate them properly in order to sustain and enhance consumer satisfaction and also encounter proper profitability. With the passage of time, the Akij Group undertook new ventures and presently there are 15 units of industries under its umbrella like cigarettes, handmade cigarettes, printing & packaging, jute mills, textiles, Hand board, Particle boards, Matches, Zarda, Cement, pharmaceutical, leather processing and real-estate business are in operation, catering jobs for more that 32,000 people in various categories. . The individual groups within these areas are responsible for their own worldwide operations, with regional units around the globe supporting their efforts. Akij Group has related diversification and their product ranges are divided into different product lines. This decentralized structure gives the greatest degree of entrepreneurial responsibility and the ability to nurture the closest possible ties to their customers. Cross-Group and cross regional cooperation is crucial for the success of innovation. At the same time, it enables Akij Group to provide comprehensive, customer-focused products, solutions and services for the local market. Cola MOJO 150ml can, 250ml pet and can, 500ml pet, 1 liter pet, 2 liter pet. Cloudy Lemon Lemu 150ml can, 250ml pet and can, 500ml pet, 1 liter pet, 2 liter pet. Clear Lemon Clemon 250ml pet and can 500ml pet, 1 liter pet, and 2 liter pet. Juice Frutika (Mango, Red grape, Red orange) 250ml pet, 1 liter. Milk Farm Fresh UHT milk ½ liter tetra pack. Malt Beverage Wild Brew 250ml can. Snacks Cheeky Monkey 15 and 30 gm Foil pack. Cheese Puffs 15 and 30 gm Foil pack. O’ Potato (vegetable masala, Magic masala) 15 and 30 gm Foil pack. Akij Group diversified their business in Food & Beverage industry because in Bangladesh we have 14 corers people. It is large market size to serve and food is required continually for the population. Akij food & beverage want to serve quality food for their target market. In soft drink industry, there are many local & foreign companies. Akij want to be local unique soft drinks producer with the same quality of foreign company. For this purpose AFBL produces CSD for young target group who like to live stylist life. Main slogan of AFBL is “Brings Quality in Life”. Beside these, it performs a number of activities to conduct their day-to-day business. Under marketing & sales department, a Brand team performs the key role of real marketing. Beside these employees, AFBL has a Sales team working all over the country. Four Regional sales managers control these sales forces. An area sales manager & an area sales officer is engaged to conduct regular sales management for each sales area. They work at the retail outlet with the authorized distributors. The actual marketing activities of AFBL are performed by the Brand office under Marketing and sales department. Factory of Akij Food & beverage Ltd has been established in a beautiful site at Krishnapur, Dhamrai, Dhaka. It has come with one of the best food & beverage industry in Bangladesh. All the machineries are being imported from two international well reputed companies in Germany naming The Krones Group, headquartered in Neutraubling, Germany & Ningbo Sipa Safety Equipment Co., Ltd. All the machineries are fully automatic and digitally controlled. Such high-tech production plants that is sensible to reject products itself that fails to meet standard level that has been set. In total there are only six companies in the sub-continent using such sophisticated machineries to manufacture CSD products, and among those companies AFBL is one of them. This factor reflects the quality of the factory and the machineries which in turn reflects the quality standard of the products of AFBL. For any technical breakdown highly experienced and trained engineers are there to serve round the clock. AFBL has a strong financial background as because 100% of its financial back up is being provided by the parent company AKIJ GROUP. All the initial investments regarding the establishment of the company, its products and even for the marketing purpose, the parent company provided full support. No financial out-sourcing such as debt or bank loan was being made by AFBL. Because of such strong financial back up, huge marketing activities, promotional campaigns were been possible for its products to strongly compete with its competitors. And now after four years of operation the company is solvent enough to finance its promotional activities by itself but if furthermore huge investments are required then AKIJ GROUP is always there to provide full flagged support. Brand Dept: Develops the marketing and promotional strategies for AFBL’s products and executes them. Sales Dept: Forecast, Pursue, Co-ordinate & Monitor the entire nation wide sales of AFBL’s products. Sales-force Training Dept: Trains, pursue to work, motivates & monitors the sales force working in the field for AFBL. Distribution Dept: Distributes accordingly the final products from the factory to the entire country’s individual distribution points from where products of AFBL are being sold to the retail outlets. The following departments: Finance & Accounts, Audit, Administration, Human resource (HR), Purchase, Import & Export, Ad & Creative, and IT & Transport of AKIJ GROUP conducts the department operation for AFBL to carry out and complete the departmental portfolio of Akij Food & Beverage Ltd.
Corporate communication and business development division. The 4ps analysis of a company involves detailed study of the company’s Product, Price, Place and Promotion. Each of these segments of AFBL is exemplified below. Akij Food & Beverage Ltd (AFBL) believes in providing optimum quality products to value its customers. All the high-tech machineries and factory site is established to enhance the capability to satisfy consumer needs in a profound quality processed manner. AFBL has categorized its products in eight products line and each line incorporates various brands to captivate the market. Groups or the product line are distinguished by the company based on the machinery used for manufacturing the products. AFBL has the planning of introducing more different and unique products in their product line and even they are planning to diversify more on their product line. MOJO is a carbonated soft drink (CSD) in cola flavor. The packaging of the product is very attractive because of its color combination which is majority red and the art design on the bottle and can. AFBL is the first company to introduce full silver bottle packaging and this makes its product more attractive than other competition brands. FRUTIKA is a brand for juice product that is available in four different flavors. SPA is a mineral water that was launched by AFBL in April 2007. The product’s full silver packaging makes it very attractive. The unique marketing communication and the products look assist it to make a moderate market share. The brand FARM FRESH denotes dairy products of UHT milk and Pasteurized milk. The brand entered in the market in September 2007. Product development matrix is a tool to analyze in which market with which category of product, a company has penetrated. Introduced new product in the current market. Product for a new market. Most of the AFBL’s new products have been developed and launched in the current beverage market, with no market development made. But for the new products Wild Brew & Farm Fresh, new market of non-alcoholic malt beverage and UHT milk was developed. There is a common plant for beverage production. Dosing unit is common for juice and beverage. Power and water supply depart is common for all production. Reform, closure and label units are common for water, juice and beverage department. Each person use results in the same satisfaction. The service system efficient, competent, convenient. Fit and Finish. All products look and feel like a quality product. In the beverage industry of Bangladesh, people are quite price sensitive and thus prices of almost all the competing products are same. Competition-based pricing: Here AFBL identifies whether its product price is similar to the competitors or not. As because the beverage market is very price sensitive, thus price cannot be more than competitors and even cannot be very less than competitors as because it will impact the profitability. So the price has to be close to the competitors’ price. Market-oriented pricing: Here AFBL justifies whether the price of its product is a price that will be accepted in the market and considered to be a market-oriented price rather than a price that will iBBAlance the market pricing philosophy. Their price convey value-based image. There are no legal restrictions on retail price maintenance, price collusion, or price discrimination. There is no chance of getting involved in price war. The price is neutral and no chance for joint product price consideration. They do not set their price according to their competitor product price..
Place means that pattern of distribution channel a company employs to make its products available to the final consumer. AKIJ GROUP OF INDUSTRIES is considered to have one the best distribution channel around the country. This profound distribution channel was specially been made to make their cigarette products available to the consumer in each and every part Bangladesh. AFBL inherited the advantage and was been able use the wide network distribution channel to promote and provide its products in each and every niche across the country. The distribution channel AFBL employs is called Dual Distribution Channel (DDC). In DDC, a company itself distributes the products and also incorporates large number distributes, who are individuals entities, to distributes the products to the final user. Products from AFBL’s factory are stored in the ware house situated in various parts of Bangladesh. For Dhaka, the ware house is at Tejgaon industrial area. Then the distribution dept at AFBL allocates the products to the distributors around the country. After the products are delivered from the ware house or factory to the distribution point, the distributing companies accordingly distribute them among the retailers to be sold to the final consumer. The distribution companies are individual entities who are considered to be the business partners of AFBL. Apart from this channel, AFBL has its own distributing wing established in some part of Bangladesh to make the products available to its customer. But where there is the establishment of AFBL’s distributing wing, other distribution companies are NOT employed. This is because two channel in the same distribution point will create channel conflict that will intern effect the products selling and availability. AFBL solely do not want to depend on the distributors thus they have established Dual distribution channel. For these regions, there are total of 263 approx distributing company who perform the distribution of AFBL’s products. All of the companies are well trained and associated with the AFBL’s products, business policies & strategies. The entire marketing department is situated in the 2nd floor of Mofiz Chamder, 75 Dilkusha C/A Dhaka. All the strategy crafting, developing, implementing and monitoring of trade promotions are being done by the sales department. Trade promotions are targeted for the retainers and the distributors. It usually involves free products, cash incentives and gifts for the retainers and distributors for high volume purchase. Each brand officer is designated with certain brands. And the brand executives are the head of all brand officers and they are entitled to the functioning of all the brands of AFBL. Event executives and officers are responsible for conducting various sort of events associating with individual brands of AFBL. They are responsible for sponsoring and developing events and associate it with any specific brand of AFBL to create a promotional act for AFBL. The Brand manager is the department head, to whom all other officials are accountable. And the Brand Manager is accountable to the Brand Director for the functioning of the Brand department. Currently AFBL is affiliated with two agencies that provide various sort of promotional services, starting from generating innovative promotional ideas and concepts, strategically coordinating them and till execution. AFBL pays a fixed certain amount of monthly fee to the Ad agencies. The fixed amount is paid even if the agency works every single day of the month and even if not working for a single day. The monthly fee has been set by a negotiation between AFBL and the Ad agencies. It is the long term forecast usually for one year. The term period is from July to June. It is the short term forecast performed every month. The forecasting is made within the 25th to 28th of the respective month. Usually revised forecasting is done after every six month but in special cases, for example Eid festival and other national event, it is done quarterly. Key officials associated with the forecasting purpose are Director (Sales), GM, AGMs, Sales Coordinators, Research officers etc. To stand out their brand in the crowded marketplace. To offer a unique value proposition. Positioning in a way that their product appears better in relation to other products in the market. If a brand is familiar to the consumer it does not mean that it is also a possible alternative for the consumer’s choices. To some (recognized) brands the consumer may have a negative reaction and therefore have no intention of using them. The consumer is also familiar with neutral brands, which are unimportant to him, or about which he does not have the sufficient information to consider purchasing them. Try to show something that matches with the today’s life style. So that a bond can be create between the Audience and the product. For Persuasion they use neither appeals to authority (famous people)nor appeals to a desire to save – pricing ($29.95 instead of $30). Space/Bus:790sft (Left, Right, Back and Front without Glasses) per Volvo. Running Hour:00to 24.00 Hours Daily. Period: One year from the date of getting delivery assurance letter of Akij group. Delivery terms: Delivery accepted upon proper and satisfactory quality display after with delivery assurance letter. Renewal: As per the mutual consent after contractual period. Advertisement: All Products of Akij Group can display as per the management decision. Payment mode: 80% in advance by A/C pay Cheque with WO & 20% after one year with final which will be retained as security deposit. Maintenance: All kind of repairing will be done by other company. Payment adjustment: If the maintenance period delayed or display disrupted due to any kind of body destruction, entire destruction of Buses of Retained in Garage as out of order, the bill will be curtailed / adjusted for the period of disruption/days proportionately from the final payment. Mojo Hatenate: A game show was conducted with those people who have mojo in hand on road. A gift pack was provided to them. A 250 ml mojo is free with a 1 litre mojo. They do not use any online Advertising. They use The Task Objective Method for determining advertising budget. They determine Advertising Budget to reach the specific goals they have outlined for the advertising campaign. Their advertising campaign strategies call for heavy spending upfront in order to win long-term customers. BCG Growth share matrix helps to identify brands position in the market as per market share. The matrix has four segments each reflecting a position of a brand for the company. A product in this segment denotes to have high market share when the industry is experiencing high market growth. Product in this segment trends to be a burden for the company as there is low market growth and the product avails limited market share. AFBL is operating in the beverage industry for only 3 years and within this time span it has the following three brands in the STAR grid which reflects a great prosperity for the company. Which one is the most preferable to you? Analysis: Mention for individual stuff in basis of percentage it is found that some of the respondent are 30% Mojo are double to other orders, RC Cola 15%, Coca Cola 10% and Pepsi 40%. In terms of cloudy lemon, which and brand name comes first in your mind? Analysis: Mention for individual stuff in basis of percentage it is found that some of the respondents are 40% Lemu, 40% RC Lemon, Uro Lemu 10% and others 10%. Analysis: Mention for individual stuff in basis of percentage it is found that some of the respondent are 60% Lemu, RC Lemon25%, Uro Lemu 20% and others 5%. In terms of clear lemon, which and brand name comes first in your mind? Analysis: Determined for individual stuff in basis of percentage it is found that some of the respondent are 7 Up 35%, Sprite 15%, Fizz Up 10%, Clemon 25% Upper 10% and others 5%. Analysis: Determined for individual stuff in basis of percentage it is found that some of the respondent are Frutika 40%, Frutoo 30%, Sezan Juice 15%, Acme 10% and others 5%. In terms of mineral water, which brand name comes first in your mind? Analysis: In survey for individual stuff in basis of percentage it is found that some of the respondents are Mum 30%, Fresh 20%, Jibon 15%, Acme 15% and Spa 20%. Analysis: In Survey for individual stuff in basis of percentage it is found that some of the respondents are Mum 30%, Fresh 15%, Jibon 20%, Acme 10% and Spa 25%. In terms of milk, which brand name comes first in your mind? Analysis: In Survey for individual stuff in basis of percentage it is found that some of the respondents are Milk Vita 30%, Pran 15%, Arong 30%, Farm Fresh 20% and others 5%. Analysis: Mention for individual stuff in basis of percentage it is found that some of the respondent are 7 Up 30%, Sprite 20%, Fizz Up 10%, Clemon 25%, Upper 10% and others 5%. In terms of energy drink, which brand name comes first in your mind? Analysis: Determined for individual stuff in basis of percentage it is found that some of the respondents are Tiger 40%, Speed 30%, Big Boss 15% and others 15%. Analysis: In Survey for individual stuff in basis of percentage it is found that some of the respondents are Tiger 35%, Speed 40%, Big Boss 15% and others 10%. In terms of juice, which brand name comes first in your mind? Analysis: Determined for individual stuff in basis of percentage it is found that some of the respondents are Frutika 30%, Frutoo 20%, Sezan Juice 15%, Acme 20% and others 15%. Quick establishment of brands like MOJO, SPEED, FRUTIKA. Availability of products through mass distribution around the country. High quality machineries and manufacturing system of AFBL. Good quality and top quality of products. Less experience in the beverage market in terms of understanding in timely proper customer need. Being new in the market AFBL considers a weakness in the entire supply-chain-management. Ø Huge profitability scope in beverage market of Bangladesh because a sustainable growth of 6% prevails in the market. Ø There is a scope for the local companies to attaining maximum market share for the refreshing flavored CSD drink. Ø Unethical practice of the competitors, for example tax violation, to reduce the price of the product. 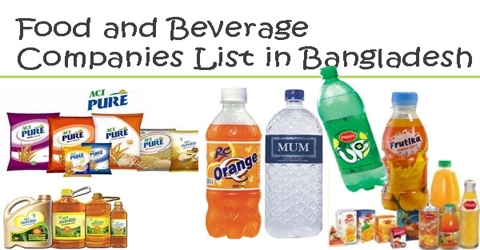 Ø Companies like Coca-Cola and Pepsi to be operated as MNCs like Unilevel rather than the licensing owned by the local Bangladeshi company. Ø Any new company introducing unique flavored refreshing drinks and having huge financial capabilities. Ensure consistent marketing strategy: While marketing their product’s Wild Brew, AFBL should focus on delivering one single theme about the product to its target market. Therefore with an ‘integrated marketing communication’ AFBL can build better brand awareness. AFBL should try to persuade government to remove tax on imported raw materials so that as a local company they can get a competitive advantages (both in price & quality)to compete with the competitors. Since the market of Malt Beverage “Wild Brew” is newly introduced, they should try to make their brand reliable and credible to the consumers, providing them with as much information as possible. The overall marketing and promotion needs to be on the brand rather than one single product. AFBL needs to increase the number of catchy billboards and TV and newspaper advertisement to promote its brand. TV/electronic media is a very powerful media from where the message of a product can reach to the people very fast. Because from this survey it can be seen that most of the people get knowledge or become aware of a product through their family members, relatives, friends, neighbors. And among them mostly are housewives and students. Thus if AFBL increase their advertisement then they would be able to reach them easily. By this way it will be possible to get a good number of customers who belongs to their group. From the survey it is seen that most of the respondents know about the AFBL (Mojo) brand but they are not aware about all the products that they have (Clemon, Lemu,FrutikaWild Brew & So on). AFBL should provide special offers for the users or the consumers of wild Brew to popularize its product. In order to capture this lucrative market segments; AFBL should consider putting on extra effort to popularize the wild brew brand among the users of the consumers. Like giving discounts on price or giving gifts (mobile phones, coffee maker, blender machine etc.) while purchasing refrigerator. Sales force should be more trained up and proactive to capture the market of beverage. Product availability should be maintained by the company. They should emphasize on the event (sponsor) & social marketing to increase the brand awareness of AFBL’s products. The concerned sales & marketing executive should occasionally visit the remote markets to encourage the customers. One of the most influencing reasons of consuming AFBL’s products is the packaging. Most of the respondents stated the packaging to be very attractive and persuasive. Thus AFBL should continue with the existing packages of the brands specially MOJO, LEMU, CLEMON, SPEED, and FRUTIKA. The brand CLEMON has moderate awareness level but potentiality exists to increase the awareness level to a prospective reach as because consumers projected positive attitude towards the strategic Marketing/Communicational theme. AFBL should focus on developing innovative promotional activities, which promotes the USP to a much greater extent and attain higher level of exposure among the consumer to create more affirmative awareness. AFBL is conducting its business with good reputation. Its sale is increasing over time. Consumers as well as retailers are satisfied with AFBL in terms of price, quality and service. AFBL is successfully doing its business in Dhaka rather than other districts. This report and survey really helped me to know regarding products and financial condition of this company. It helped me better to correlate my theoretical knowledge with practical domain. The Brand department of AFBL makes intensive effort regarding the brand building of the products. The reflection of the efforts could be seen from the strategic marketing communicational theme and brands like MOJO, SPEED, FRUTIKA, CLEMON etc. All the ratios we took in consideration presents that the company is doing very well over the time. The pace at which AFBL is currently accelerating, will undoubtedly lead the company to the peak of success where majority of the market shares will be held by the brands of AFBL. I will be concluding my research report by stating that, being able to work with a company which is in the growth stage of the organizational life cycle (OLC) enabled me to acquire a bundle of practical knowledge which will turn out to be a great support for my future strategy formulations and implementations achievements. below S.S.C. 2. H.S.C. 3. Graduation. below 5000. 2. 5000 – 10,000. 3. 10,000 – 15,000.
Who uses Energy Drink more? Which age’s people use more? What‘s their educational level who like “wild brew”? The Brand who response to use more? In terms of malt beverage, which brand name comes first in your mind? 7. What is reason behind that pleases mention? DO you know about wild brew malt beverage? 9.What is the quality of Energy drink? Why do you use that type of Beverage? Good quality. B. Less prices. C. Easy / less use. D. Convenient. Which factors influence you most while using the Beverage? Do you follow the recipes published / showed in different media? Can you recall any specific AD of Beverage? If, yes. Mention please? Which size of the packet you prefer most & how much consum in a month? A.150ml can B.250ml pet and can C. 500ml pet D1 liter pet E. 2 liter pet. Which types of Akij beverage packaging you prefers most? Which Beverage packet is visually attractive to you? Which brand of beverage you prefer most? Why do you consume Akij beverage? Does the brand fulfill your expectation? Do you think Akij beverage is easily available in the market?